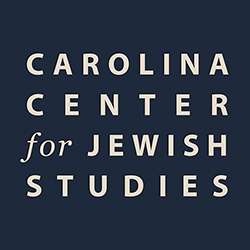 Thinking of a Jewish Studies major or minor? If so, JWST 100 is a required course. It also meets other general ed requirements. Register soon for fall semester! The course meets M and W afternoons, with Professor Cooper. Register for the upcoming JWST Maymester course Beyond Hostilities with Professor Yaron Shemer. The course runs May 15-31and it meets criteria for several majors/minors/general ed requirements. Fantastic lecture Monday night with Sidnie White Crawford… we had well over 100 students attend… with their laptops! Our next community event is Oct 29 with NY Times reporter Jonathan Weisman. We hope you can join us. MONDAY: Please join us for a community lecture with Sidnie White Crawford, University of Nebraska, Lincoln: Scribes and Scrolls at Qumran: A New Synthesis. October 8 @ 7:00 pm – 9:00 pm, Hill Hall. Free and open to the public.